Since last Saturday I have been taking birth control pills again. The fertility doctor says this is to keep me in a holding pattern that allows them to better calculate my treatment and dates of when egg collection and embryo implantation will be. 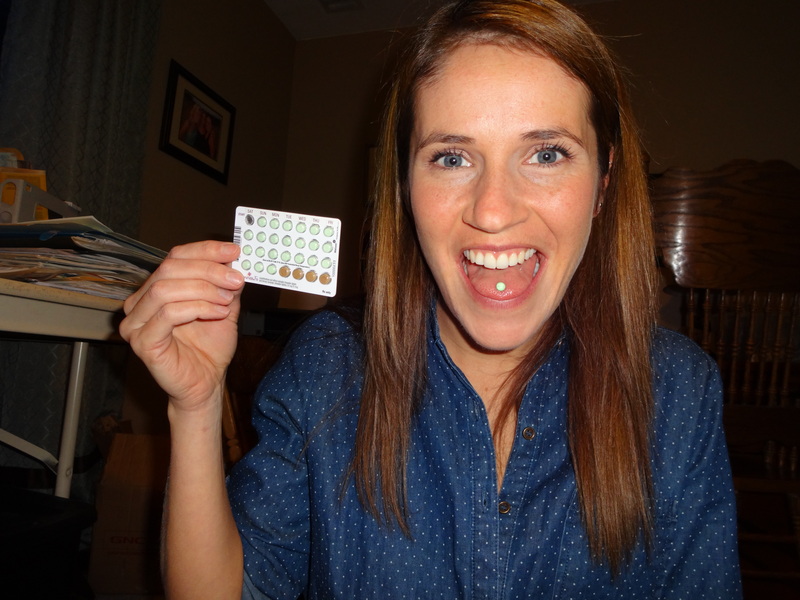 It seems slightly strange though to once again, after an 8 year gap, be taking birth control. A few years into this journey I remember chatting on the phone with my good friend Kelly. We were talking about the irony of taking birth control pills when it didn’t appear that I could get pregnant. She said ‘Just think of all the money you could have saved if you would have known that!’ At the time I remember saying it was too soon to be laughing about just yet, but now I can see the humour in it. So back to the pill I go! Today is Thanksgiving and it is the first time I have celebrated this holiday in years. The festivities began last night with the whole Chud clan staying under one roof. We woke up this morning to warm cinnamon rolls (Grandma Mary’s recipe, passed on to each of us girls by Lynda and made by Carla). Right now my first attempt at a proper apple pie is in the oven and we are all running around trying to get ready to leave for our Thanksgiving dinner at the Fray’s. This year I am thankful to be with family for such an extended period of time. I am thankful that God hears each of my breath-prayers. I am thankful for good food. I am thankful for the snow that transforms Alaska into a winter wonderland. I am thankful that I still have a good chunk of time with the Carpenter clan to look forward too. But most of all I am thankful for each family member and friend who is partnering with us through both prayer and finances. We feel strong right now and it comes from each of your prayers. Right now we are at $3500, and we know that more is coming. Each time a person responds to our letter with encouraging words and the desire to partner with us I am overwhelmed by God’s larger body. So thank you. Thank you for being generous. Thank you for loving us. Just thank you. This entry was posted in Infertility, IVF, Uncategorized and tagged Birthcontrol, Drugs, Infertilitysucks, IVF.